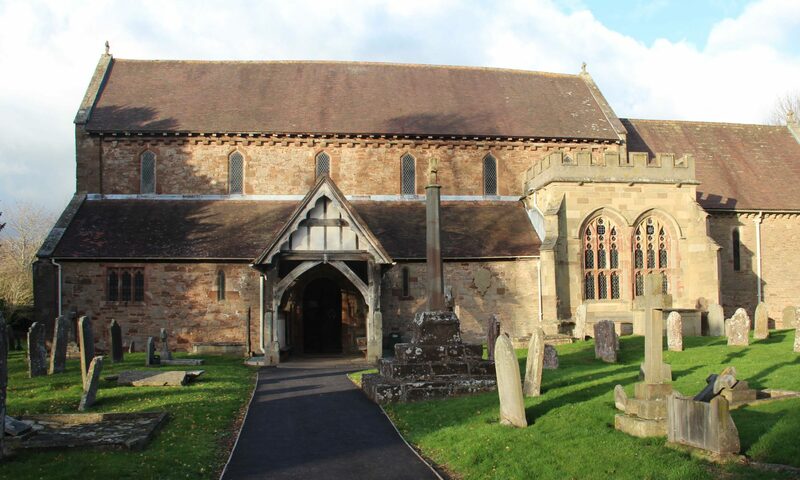 The oldest record of bells in the tower is an inventory of 25th May 1553 when there were five bells, the tenor being 1.09m (43 inches) diameter. 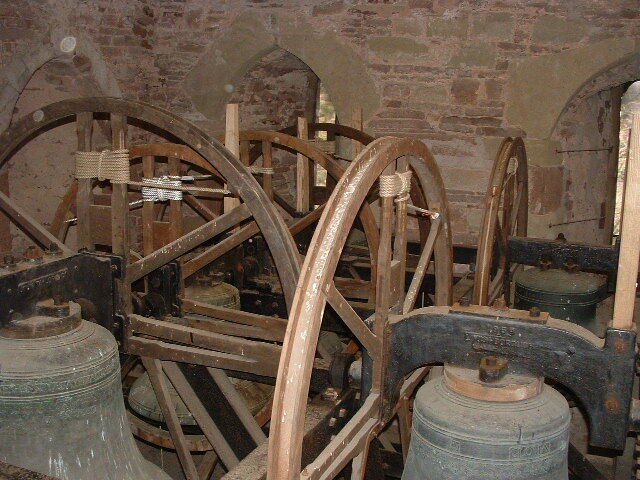 However none of these bells have survived as the oldest of the present ring of six was cast in 1640 by J. Finch of Hereford. The bells are hung in a steel frame installed in 1937 by Mears and Stainbank of London and were refitted in 1951 and 1959 by John Taylor of Loughborough. The details of the bells are as follows, the weights being shown in cwt. qr. and lb, and in kilogrammes. Treble C# 6.0.22 315 Recast in 1903 by J. Barwell of Birmingham to replace a bell cast between 1783 and 1785 by Charles and John Rudhall of Gloucester. Second B 5.3.26 304 Recast by John Taylor of Loughborough in 1959 when the front five were retuned and rehung. Most of the original inscription was reproduced. Third A 7.1.4 371 Originally cast by John Martin of Worcester 1681. It was broken and recast in 1976 by John Taylor of Loughborough. Fourth G# 8.0.18 415 Recast by Mears and Stainbank in 1937, replacing a previous bell which probably cast during the restoration period. Fifth F# 11.0.6 563 The oldest bell cast in 1640 by J. Finch of Hereford. Sixth E 15.1.6 779 Cast by John Martin in 1660. 1.16m (45inches) diameter and 0.88m (34 inches) high.